Micro Auto Paint & Supplies won the BASF Automotive Refinish 2017 Distributor of the Year award at the annual ColorSource conference. Approximately 135 of BASF’s single-line distribution partners attended the conference in Scottsdale, Ariz.
2017 ColorSource Distributor of the Year Award presented to Micro Auto Supplies. 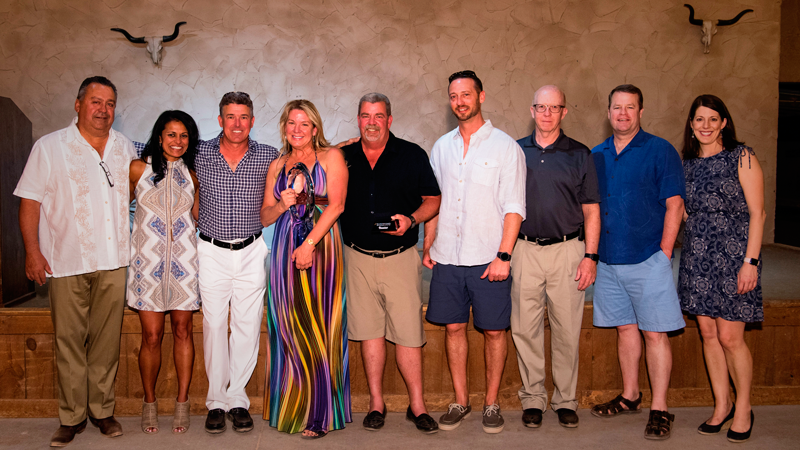 (Left to Right): ColorSource Business Development Manager Paul Barnes, ColorSource Senior Manager Shefali Cromer, Micro CEO Howard Hicks, Micro CFO Tammy Packer, Micro Sales Manager Steve Gruchla, Micro Sales Manager Shane Sisk, BASF Refinish VP Marvin Gillfillan, BASF Coatings Senior VP Chris Toomey, and BASF Distribution Director Denise Kingstrom.